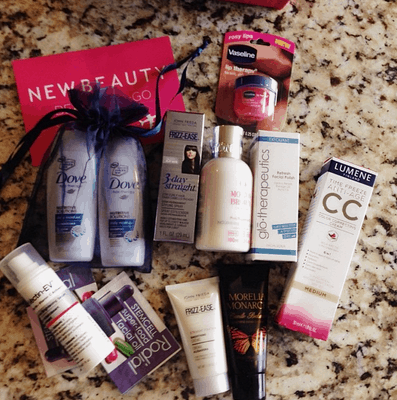 You know how much I love beauty subscription boxes! Well, this year I asked my husband to get me the New Magazine TestTube for Christmas. It’s a bit more expensive than the other brands – but look at how much you get in your mailer. Worth the $29.99 a month if you are asking me. ESPECIALLY if you are interesting in learning about new products on a regular basis (like me). I’m noticing that a lot of the brands that are included in the New Beauty TestTube are nationally recognized… which is different than my other subscriptions. Curious to see if this continues. Vaseline, Dove, Frizz Ease and Lumene — all names we know and love. Have you heard of New Magazine’s TestTube? What do you think about this month’s mailer?